Sellafield was the first commercial nuclear power station in the world, but these days decommissioning is the name of the game, with engineers and scientists working in tandem to render harmful materials safe and secure the area for future generations. But the Sellafield project wasn’t just about picking off-the-shelf valves from Hobbs and installing them without further ado. As with so many projects, this scheme required Hobbs’ engineering nous to deal with a very specific challenge. Traditionally in a process like this, a large parallel slide or gate valve would be installed to feed the site with steam. 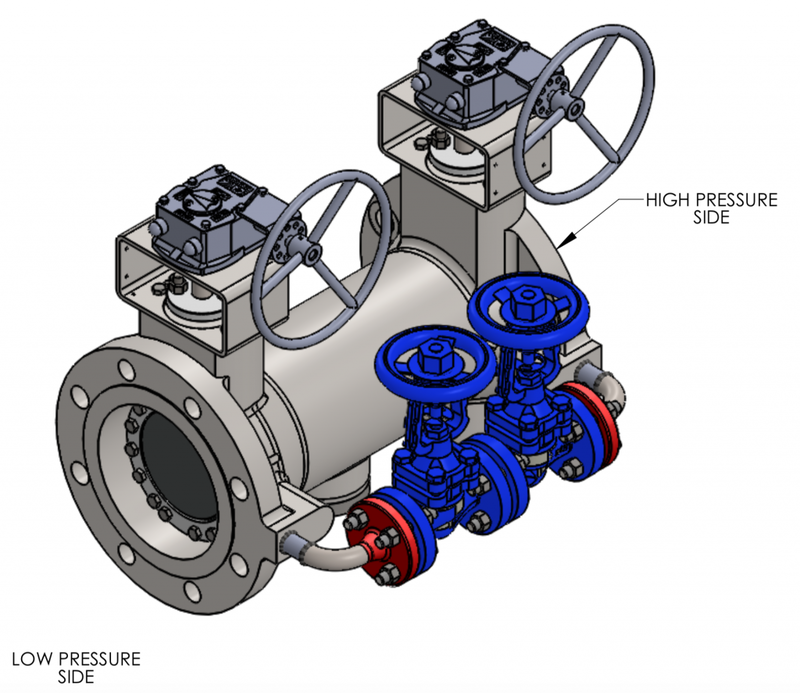 This would then require the addition of a bypass line – with its own bypass valve – to help regulate steam flow and prevent large surges downstream of the main valve. This bypass arrangement is large so consumes a lot of space on site – something that is always challenging on a site like this. It also introduces opportunities for leakages. Therefore NW Total Engineered Solutions worked closely with Hobbs Valve to develop a unit with bleed valve and bypass line integral; a bespoke double block and bleed valve arrangement that occupies less than a third the envelope of a conventional system and features Hobbs’ renowned zero-leakage technology. The solution was developed bespoke to meet the pipework dimensions on site, and represented a significant cost saving for the client –symbolic of Hobbs Valve’s innovative and bespoke engineering expertise.